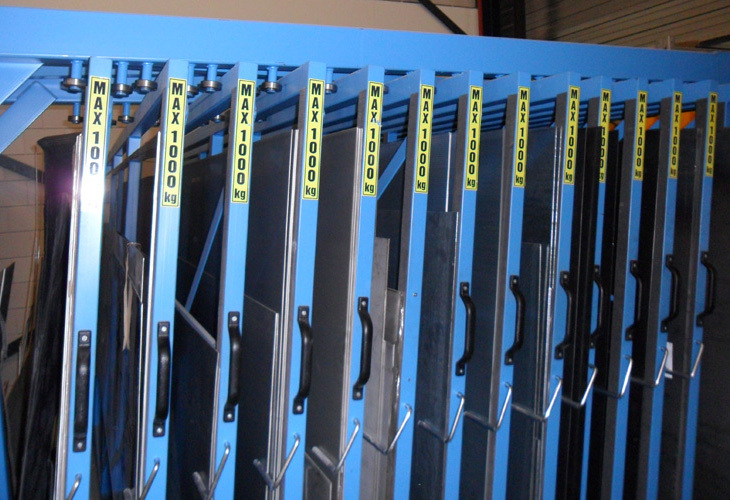 "Your metal sheet rest pieces are stored in a system that guarantees a clear overview and direct access." 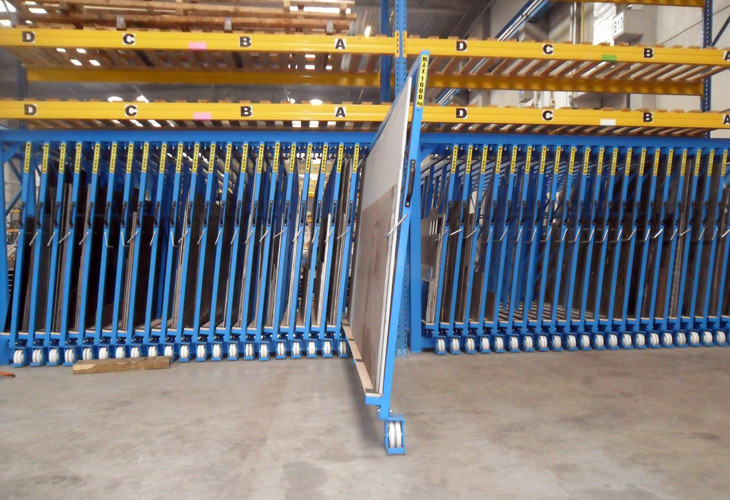 40" x 72" BML 72 1,77" 56" 880 lbs 8 - 25 45" - 119"
48" x 96" BML 96 1,77" 66" 770 lbs 8 - 25 46" - 120"
60" x 120" BML 120 1,77" 75" 660 lbs 8 - 25 47" - 121"
72" x 144" BML 144 1,77" 95" 550 lbs 8 - 25 53" - 141"
40" x 72" BM 72 1,77" / 2,95" 60" 2200 / 4400 lbs 8 - 25 48" - 148"
48" x 96" BM 96 1,77" / 2,95" 70" 2200 / 4400 lbs 8 - 25 50" - 149"
60" x 120" BM 120 1,77" / 2,95" 80" 2200 / 4400 lbs 8 - 25 51" - 150"
72" x 144" BM 144 1,77" / 2,95" 99" 2200 / 4400 lbs 8 - 25 51" - 150"
Other dimensions are also possible, ask about our solutions. 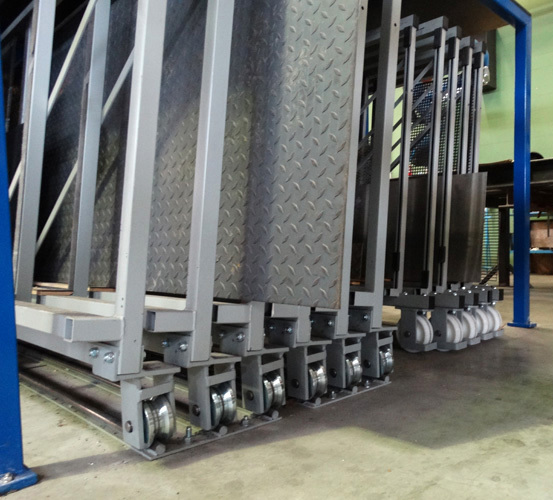 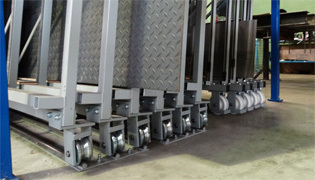 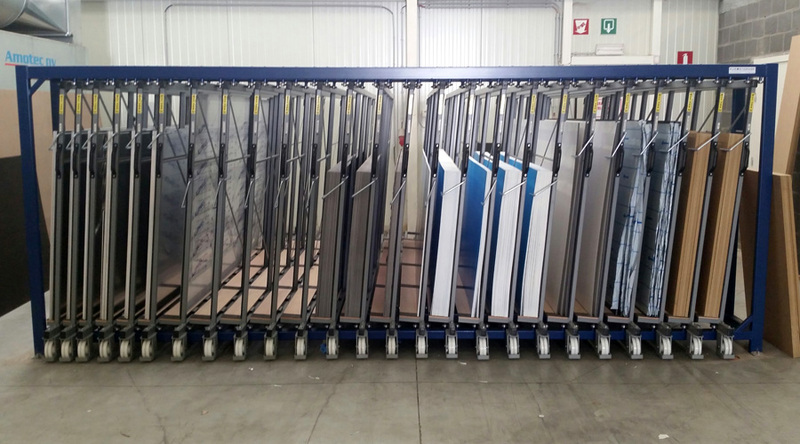 "Using the vertical storage system with roll-out drawers for metal sheets, rest pieces and other sheet material"
"storage of sheet metals and steel sheet offcuts"
Compact storage method, can be placed close to the machine. 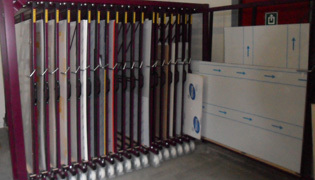 Clear overview of your sheets and rest pieces due to the convenient structure. 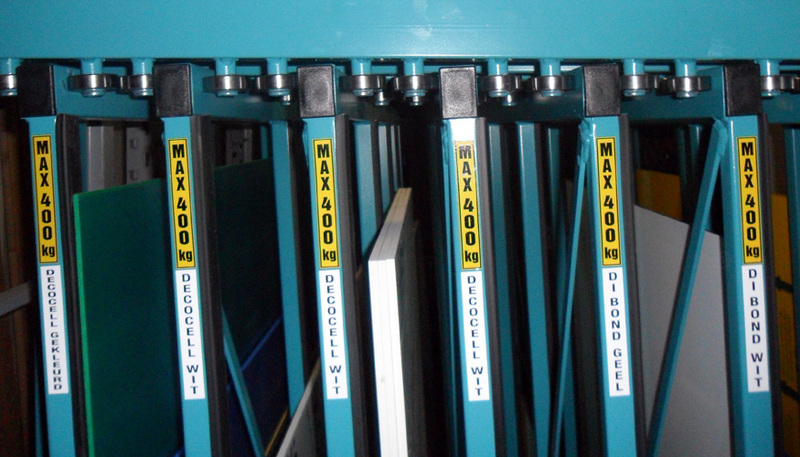 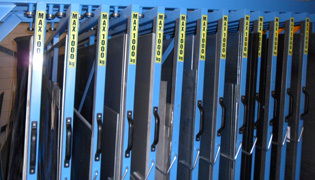 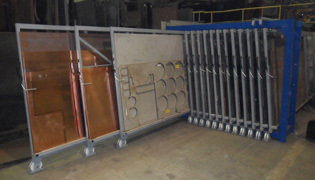 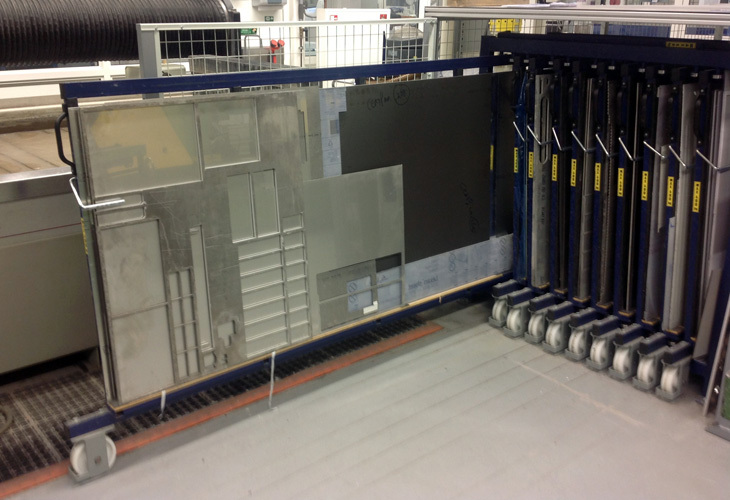 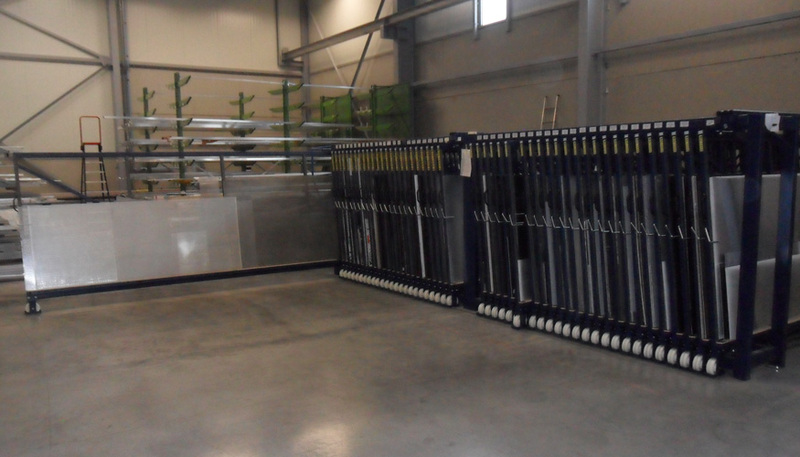 Your metal sheet rest pieces are stored in a system that guarantees a clear overview and direct access. 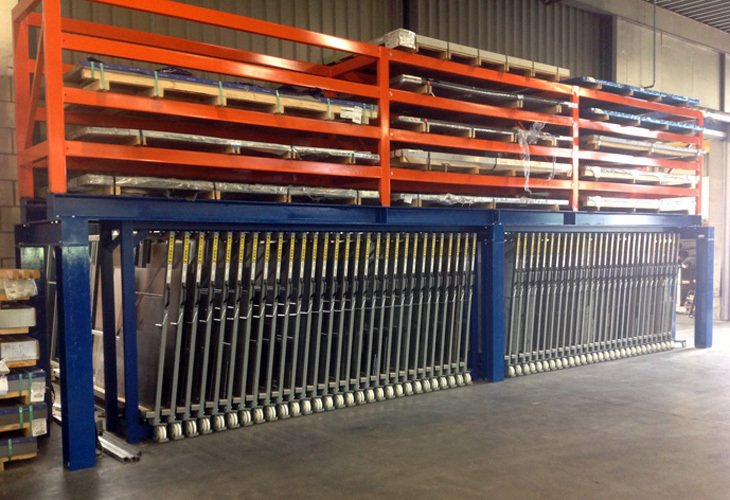 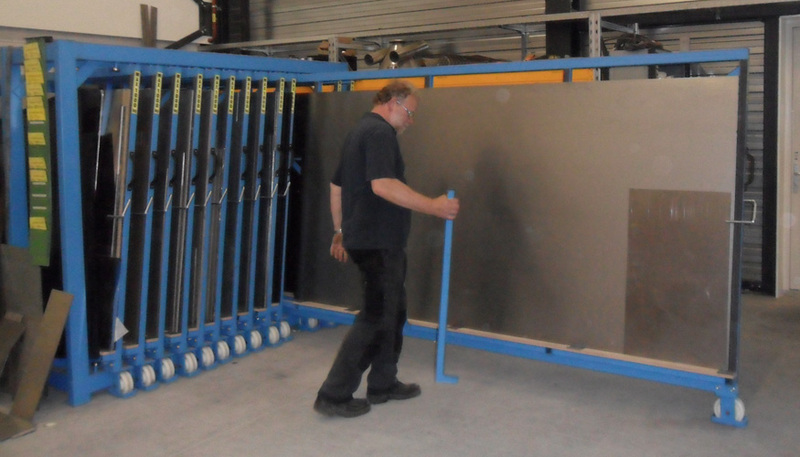 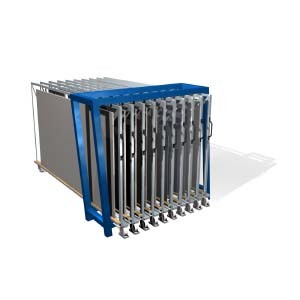 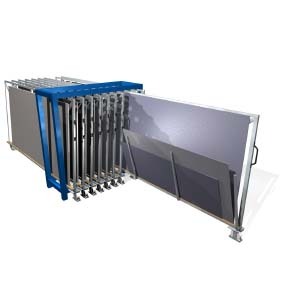 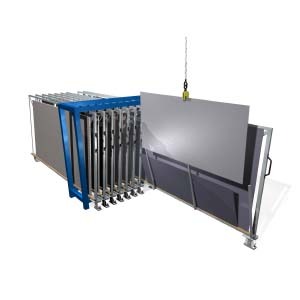 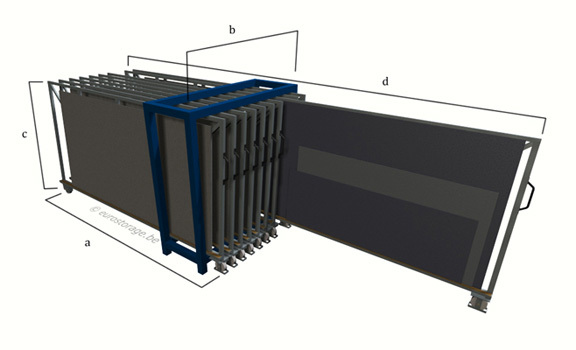 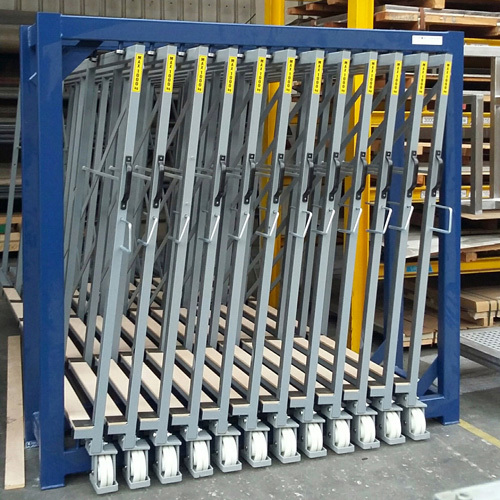 Direct access to each drawer (and therefore every metal sheet) is ensured by this vertical storage system for metal sheets and residual material. 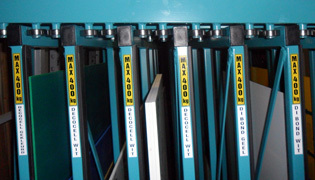 The drawers, which are equipped with wheels, are fully extendable from the rack. 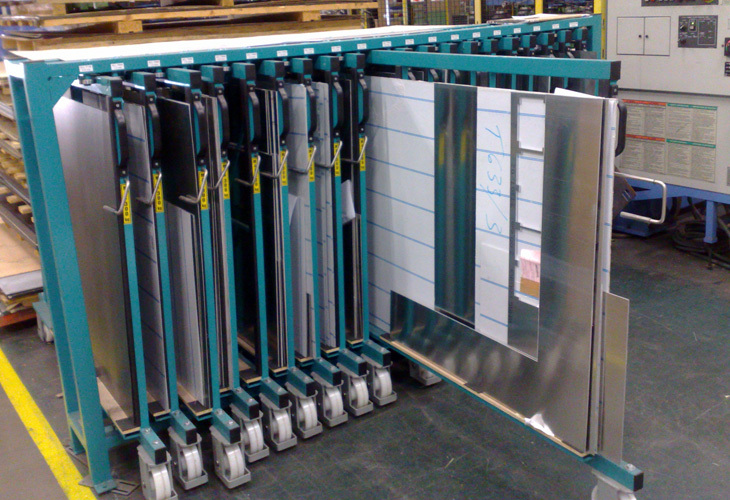 When you open the desired drawer, you will gain immediate access to the metal sheet that you needed. 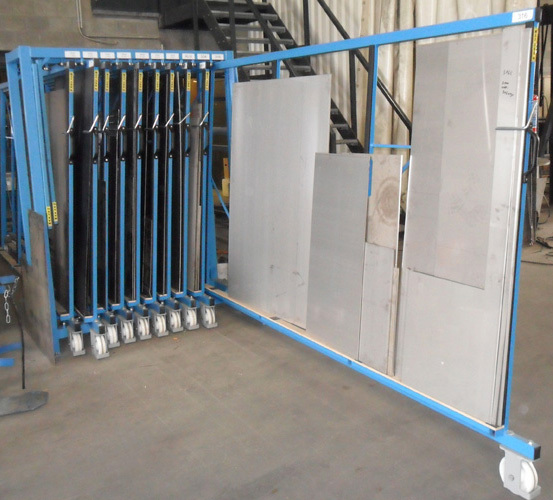 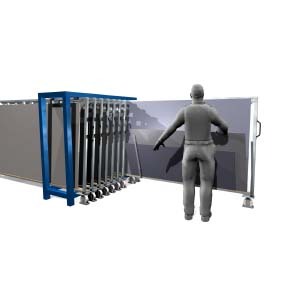 All your metal rest pieces and metal plates are stored compactly and in an orderly manner, thus providing you with a clear overview. 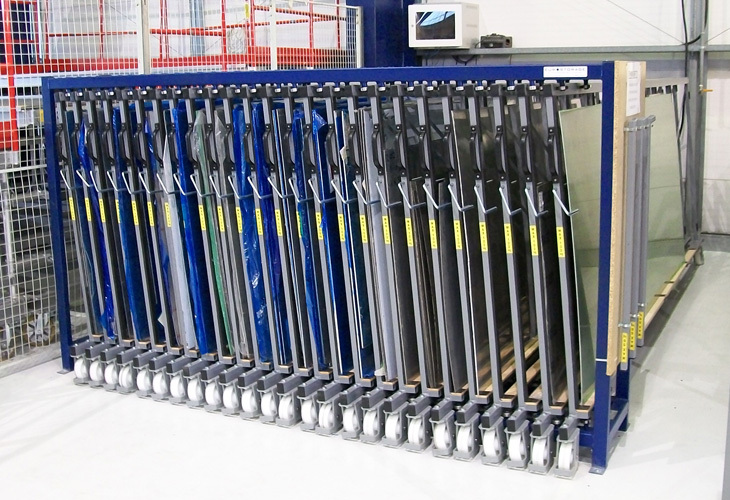 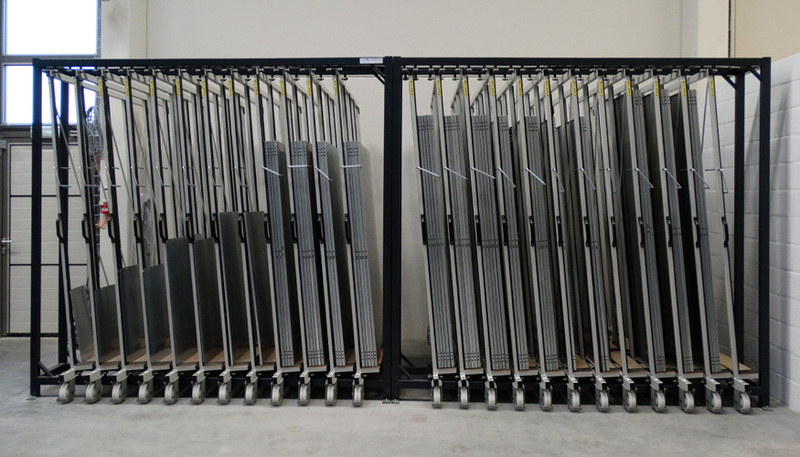 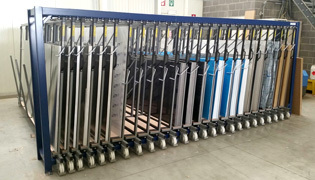 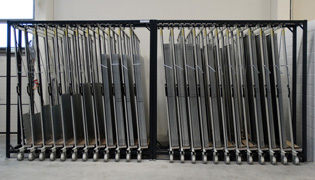 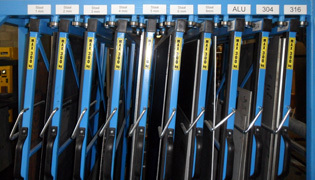 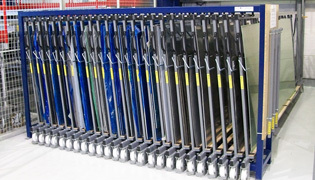 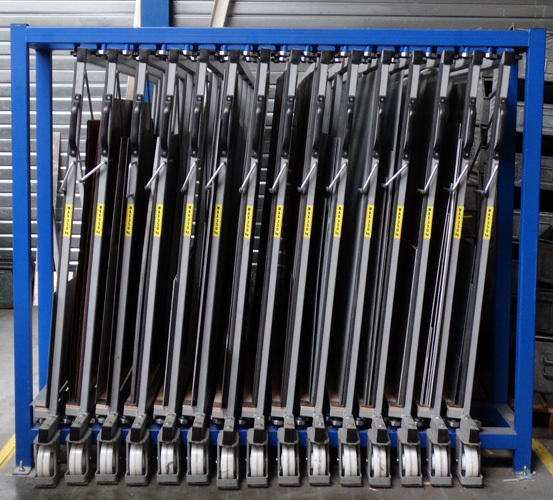 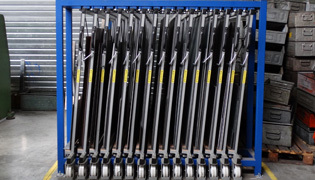 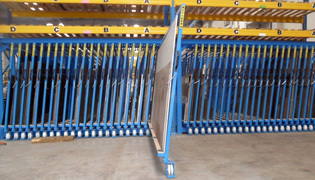 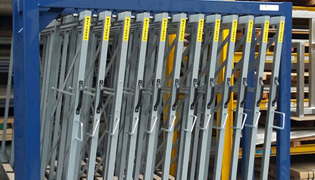 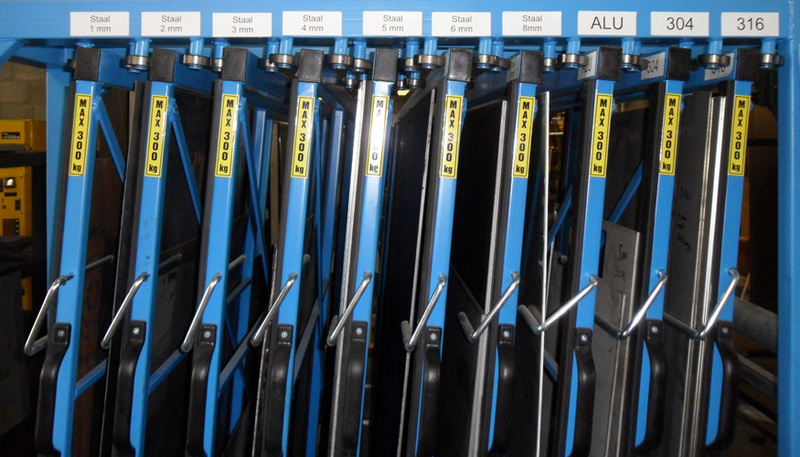 The vertical rack is equipped with a browse function. 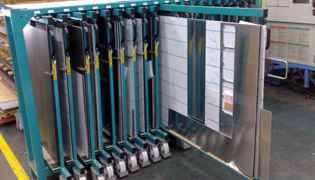 With this, you can browse your sheets and it provides a good overview. 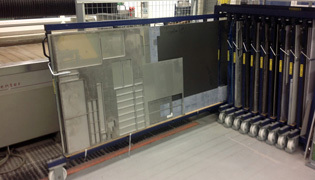 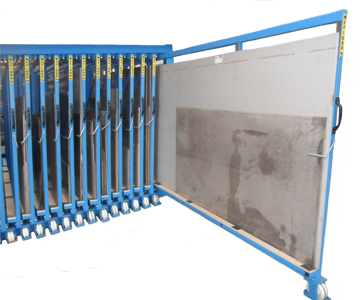 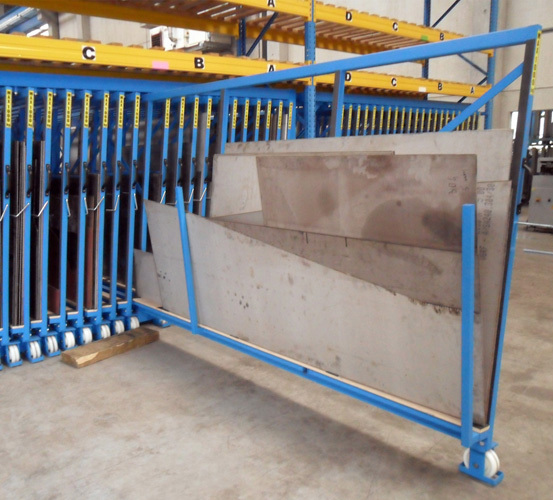 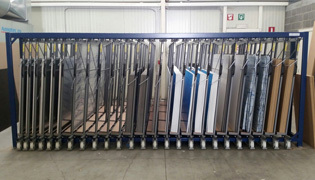 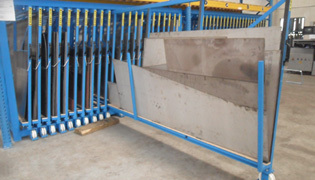 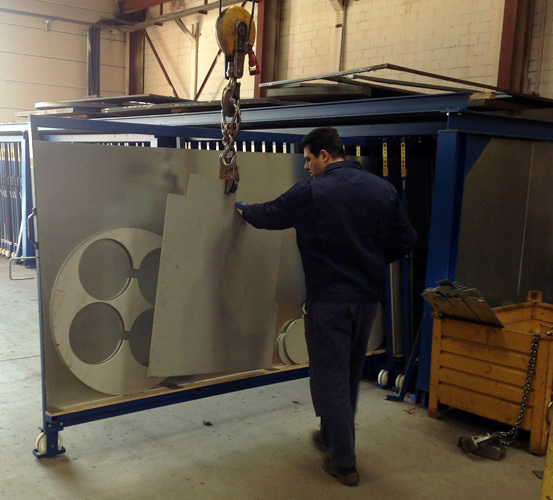 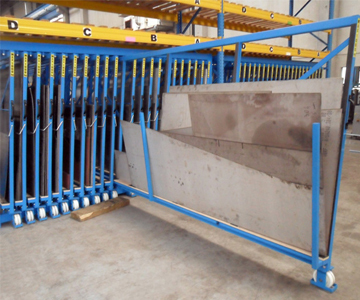 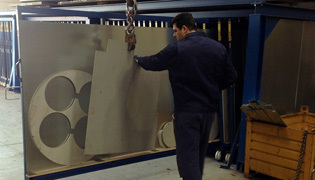 Direct acces to the desired metal sheet. 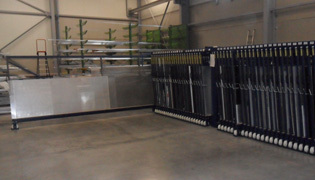 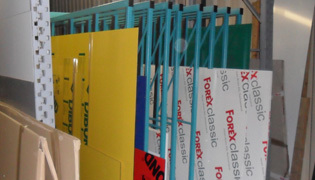 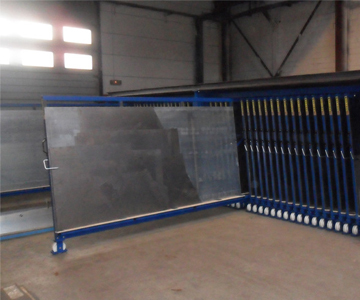 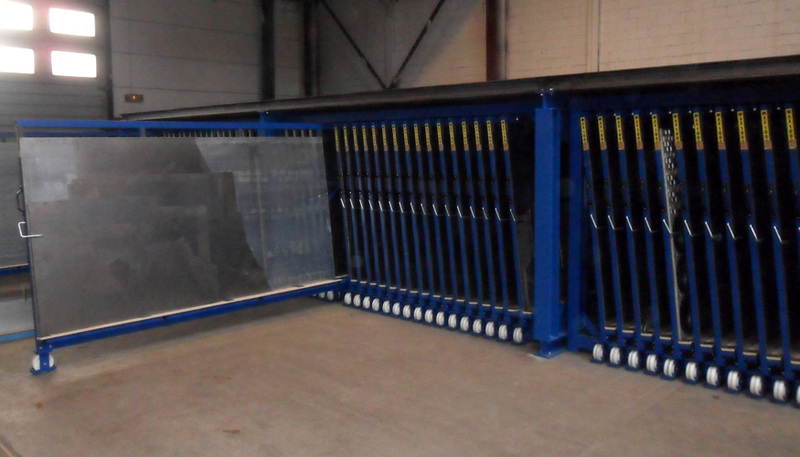 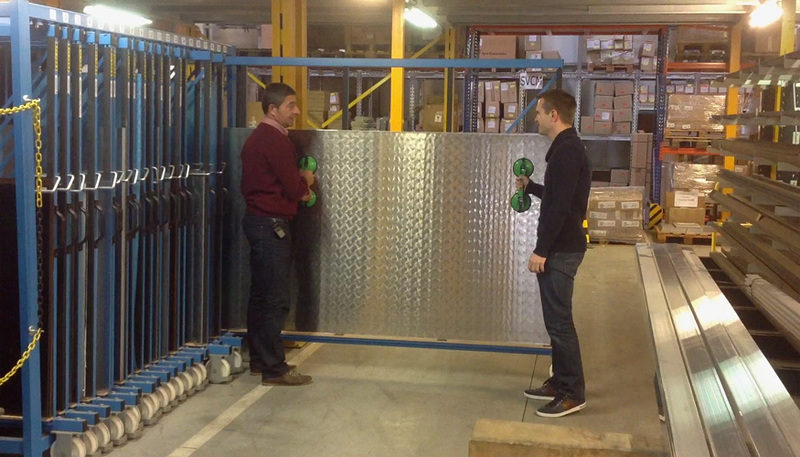 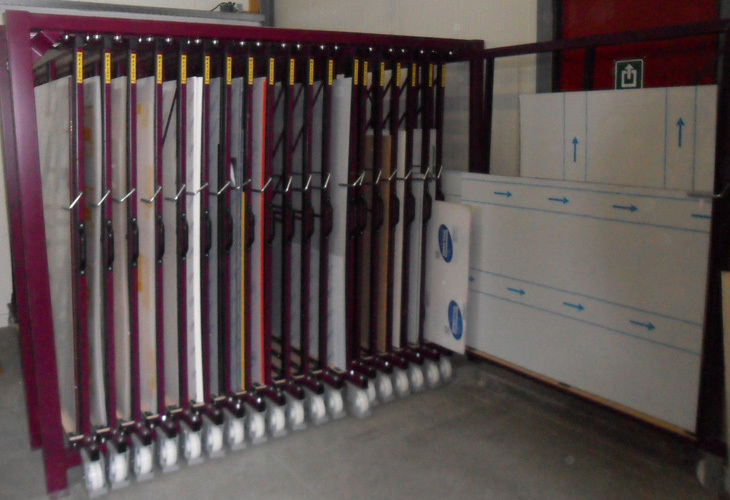 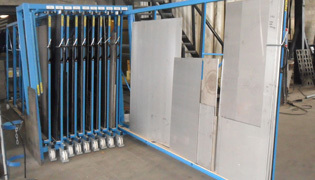 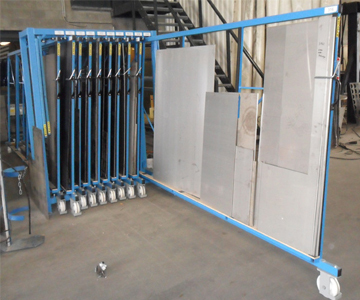 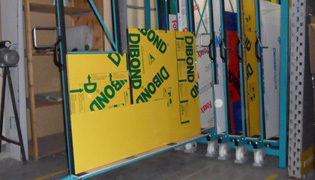 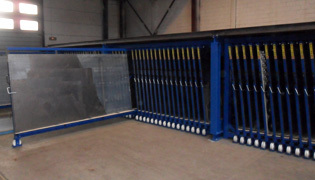 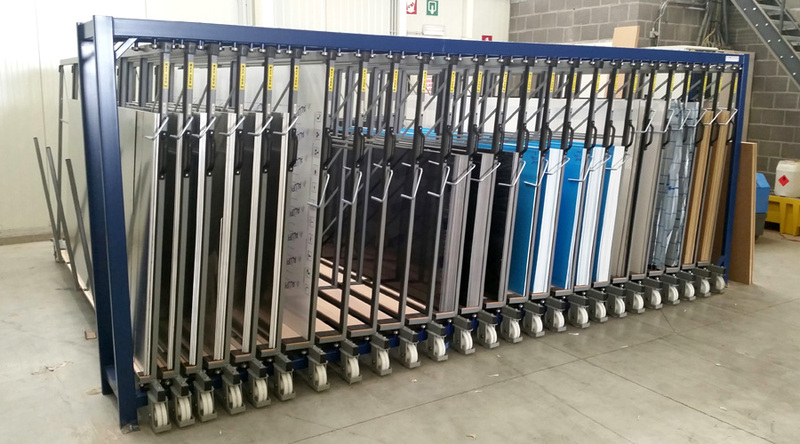 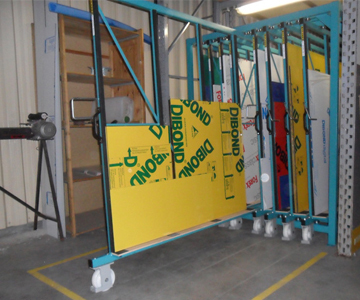 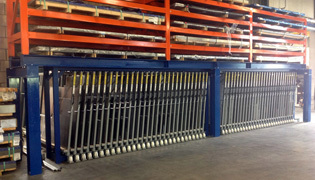 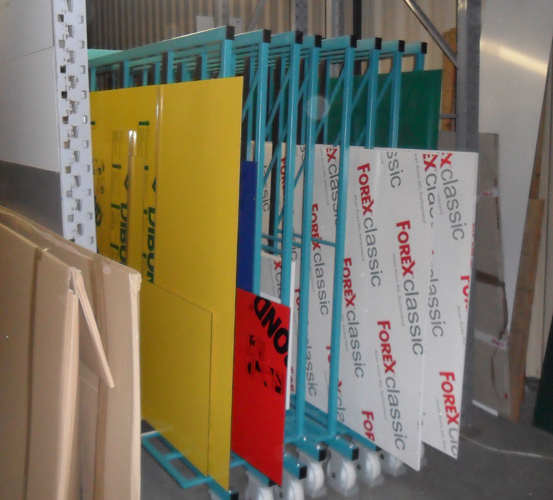 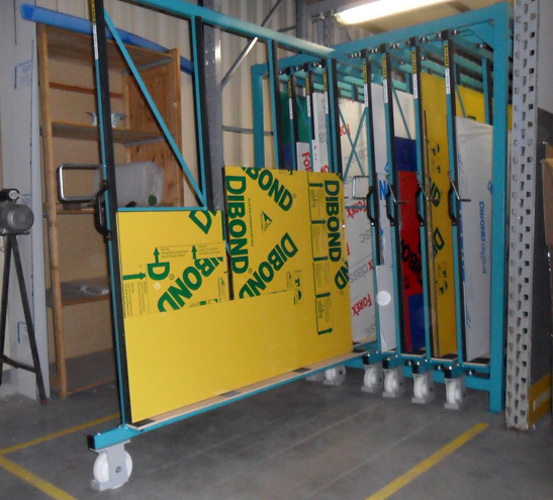 Storage of Dibon and Forex sheets is possible: The easy access will prevent any damage to your metal sheets.